Do you want to know more about your food and where it was grown? Are you looking for a sense of community around that food? do you just want some quality produce? CSA stands for Community Supported Agriculture. It's an arrangement in which consumers share the risk of food production with the farmer. You purchase a 20-week subscription of produce at the beginning of the season, and each week you receive a box of fresh, in-season produce. The farmer benefits through the risk-sharing, and you benefit by receiving healthy food while supporting a local farm. Check out the CSA Agreement to learn more. Large share: 7-8 different items per week, including 1 or 2 interesting vegetables (asparagus, rainbow carrots, leeks). If you like veggies, enjoy cooking, or have hungry kids at home, you'll want this size! Small share: 5-6 of the most common garden veggies (no chard or okra here!) each week, in smaller quantities than a large share. If you're single, or a couple with little time to cook, this is a good option. 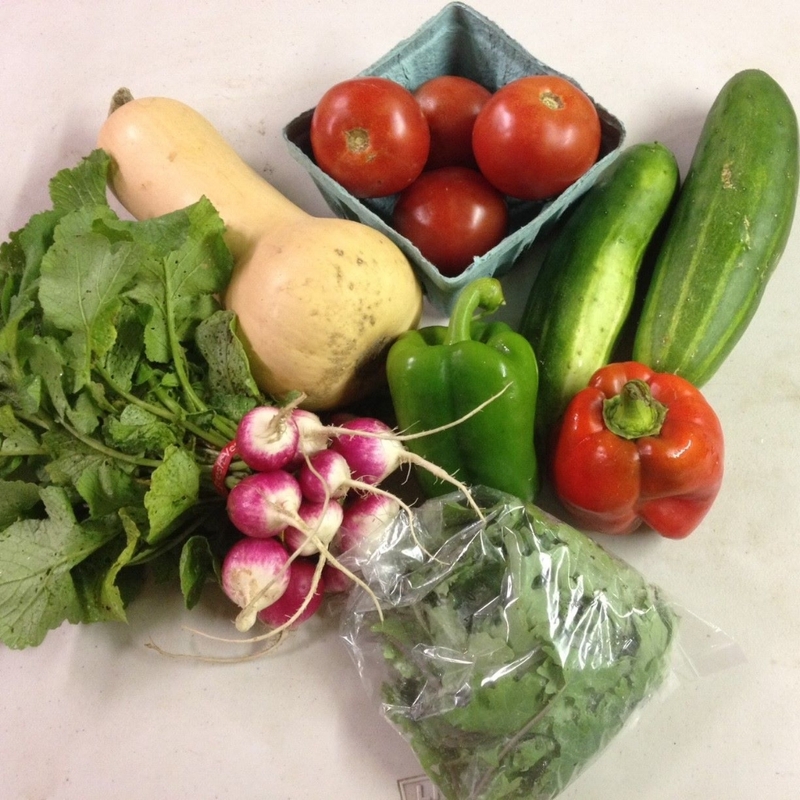 Thursday pick up in Beatrice: Don't have time to cook during the week? Pick up Thursday so your produce is fresh for the weekend. 3. Read the weekly emails to learn what's in your box and how to cook it. 4. Enjoy your fresh produce and impress your family with delicious meals!